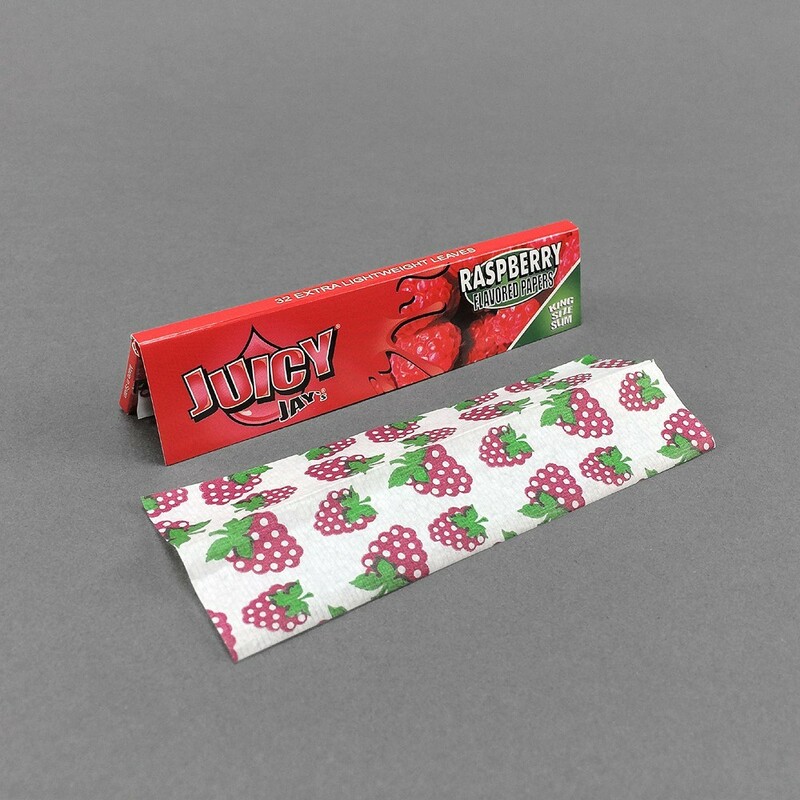 Juicy Jays Raspberry Flavour Kingsize Slim Rolling Papers are the fruitiest raspberry rolling papers you can buy. Bursting with juicy berry flavours, these raspberry papers add a tang of flavour to your smoke. To maintain the flavour throughout the paper they use a Triple- Dipped Flavouring System and Soy-based ink with natural sugar gum to make Juicy Jay's flavoured papers so mouth watering. A paper slip folded in with the leaves reminds you when you're running low.